Tastier than a bag of Splenda! More refined than a bowl of honey! Able to sweeten coffee with two lumps! It’s Sugar3! 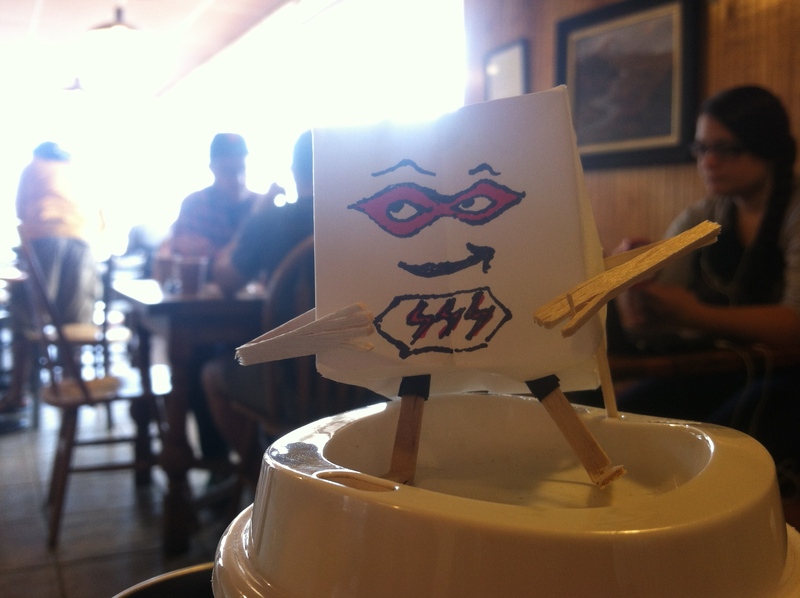 Defender of the delicious life and guardian of all things cubed. Ok, so I have a lot of time on my hands. I introduced this little fella last week out of pure whimsy and decided he’s not a bad mascot for my book, BOX. I’m toying around with some humorous photography ideas for Sugar3 and I find my mind drifting on thoughts of heroism and courage. I don’t wish to live in a world without heroes. They are normal, everyday people doing what they do best from being mothers to teachers to soldiers to everyday hard-working folk. They are the ones out there day in and day out putting themselves on the line to make sure the world we live in is a better place. They don’t seek recognition or even the term hero bestowed upon them. They just wake up and know what they need to do without inspiration or a reason. They are the ones living with true conviction and not convenient compassion. They aren’t afraid to challenge the rules, which are really only just guidelines to them. They aren’t above their own behavior and hold themselves to the highest of standards. They do what they do without thought for award or recompense. They are confident without ego, strength governed by humility. They are willing to look into the seedy underbelly of society and deal with the consequences. They stay up late tirelessly working on the hard issues. They put others before themselves and readily sacrifice their well-being. They make no excuses when asked to jump into action. They know that without true sacrifice a greater world cannot exist. They are you and me. We all have that little hero inside of us. It’s up to all of us to bring it out within each other. Are we up to the task of unlocking the little box of courage hiding inside us all?